The consultation period formally closed at midnight on Monday 14th January 2019. Thank you to all who took the time to comment and leave their views during the consultation period. As part of the consultation process we will be taking all views into consideration. Once due consideration has been given and a formal decision has been made, we will write with an update and further details. Once again, thank you for your valuable comments. Apollo Partnership Trust is currently proposing two consultations, Age Range Change and Admissions. Below you will find the details of both. 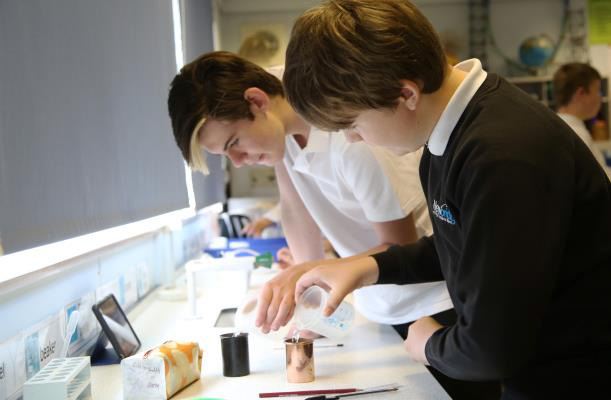 Earlier this term we updated you on our progress towards King Edward VII College joining The Apollo Partnership Trust and thereafter for the three secondary schools in Coalville to become two, with a shared Sixth Form. In reality this would mean, from 2020, for the Newbridge campus to change its age range to 11-16 and for the Castle Rock/King Edward VII campus to become 11-16. The shared Sixth Form would be on the King Edward VII/Castle Rock campus. We believe this change would enable better continuity and progress for students as they move from Key Stage 3 to Key Stage 4 and 5 and prepare for their GCSE’s/A levels. It will also enable a better sharing of skills, expertise and resources, in a way that cannot be done now, as all schools will be taught by staff under one employer, Apollo. The planned changes for the three schools to become two, are all subject to a full consultation with parents/carers, and others that have an interest in our schools, before seeking formal approval from the Department for Education. 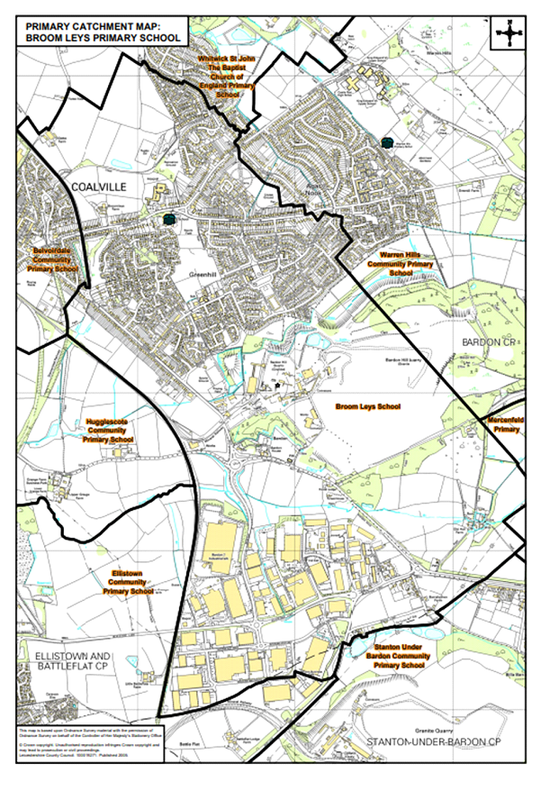 Here you will find a consultation document that sets out the proposals in more detail and explains how you can make comment on these. The consultation period will run from Monday 3rd December 2018 to Monday 14th January 2019. Could you please ensure that your comments are received by Monday 14th January at the latest, this will ensure that we are able to keep to our intended timescales. To ensure the success of our vision, we also propose to make some revision to the admission arrangements for these schools to provide better choice and access for parents. Documentation to explain these proposed changes are also attached to this letter. The support that parents continue to give to our schools is of great value to us. We do hope that you will find the time to let us have your views and look forward to hearing from you. It is an important time for the future of our schools and an opportunity to make a real difference to the quality of education provided to our students. Please be assured that no decision will be taken by our Trustees/Governors until we have taken all views into consideration. 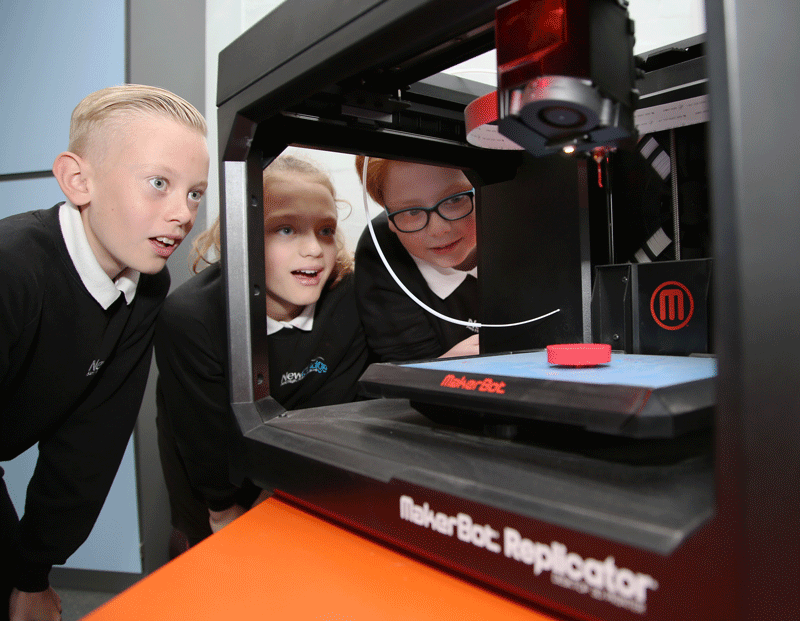 Our vision at Castle Rock, Newbridge High School and King Edward VII College is to enable a joint approach, to ensure the best possible outcomes for all of our young people as they progress through their education. We recognise that in order to achieve this, we need to embed a clear, coherent, first class educational experience. This will enable all of our young people to achieve the success that they not only deserve, but encompassed with their own rigour and determination, is their right. These three schools already have a strong history and excellent track records of success. The most recent Ofsted inspection reports confirm that students’ academic and personal progress is good within our schools. Nevertheless, it is our ambition that working together and by making the changes set out in this consultation document, we can further improve the quality of education provided. Currently, within the Coalville area, students change schools at ages 11 and 14. Whilst this has worked very well for many years, recent national changes to the curriculum and qualifications, has meant we have begun to think of a better way to organise schooling across the three secondary schools. Thereby changing the educational landscape for the young people of Coalville and its surrounding villages. To do so will provide the opportunity to also look at how we deliver the curriculum and provide more choice for students with different skills and educational needs. Continuity of provision for children is also important and whilst the three schools work together very well at the point of transfer, for some children this can prove a challenge. Some find the transfer of school relatively easy at these crucial stages, others find it more difficult. For these reasons our Governors/Trustees and Senior Leaders in each school have spent time exploring the options available to make things work better. We now believe that the best way to build upon our good work and improve upon the quality of education provided, is to progress age range change for our schools to provide a system of ‘all through’ 11-16 schools in Coalville, with a shared Sixth Form for both, based on the King Edward VII site. We believe that to improve results and for students to achieve and excel, we need to give them every reason to want to, and every opportunity to do so. Outstanding teaching, exceptional care, guidance, support and mental health provision, that will inspire them and where they will be safe, thrive and be the best they can be. The three secondary schools in the Coalville area will become two. An 11–16 school on the Castle Rock/King Edward VII campus, an 11–16 school on the Newbridge site and a joint Sixth Form – based on the Castle Rock/King Edward VII campus, accessible for both schools. We believe that making the change as set out in this consultation will provide a real opportunity to continue, and build on, past success for our children, and make the best use of the skills, expertise and resources available to us. You will be aware that we wrote to you in the summer term to explain the proposals, and seek your views on King Edward VII College joining the Apollo Partnership Trust. This was seen as the first step to making the longer term change outlined above, and based on the positive response given at the time, the College will now look to join the Apollo Trust in the spring 2019. However, before proceeding further we would now like to hear your views on the age range change and merger. Our consultation document outlines the proposals for change, the benefits, opportunities and challenges that may lie ahead. Please take the time to read this information, and if you wish, use the response form tell us what you think. Your views are important to us and the Governors/Trustees will not make a decision until they have heard what everyone thinks. 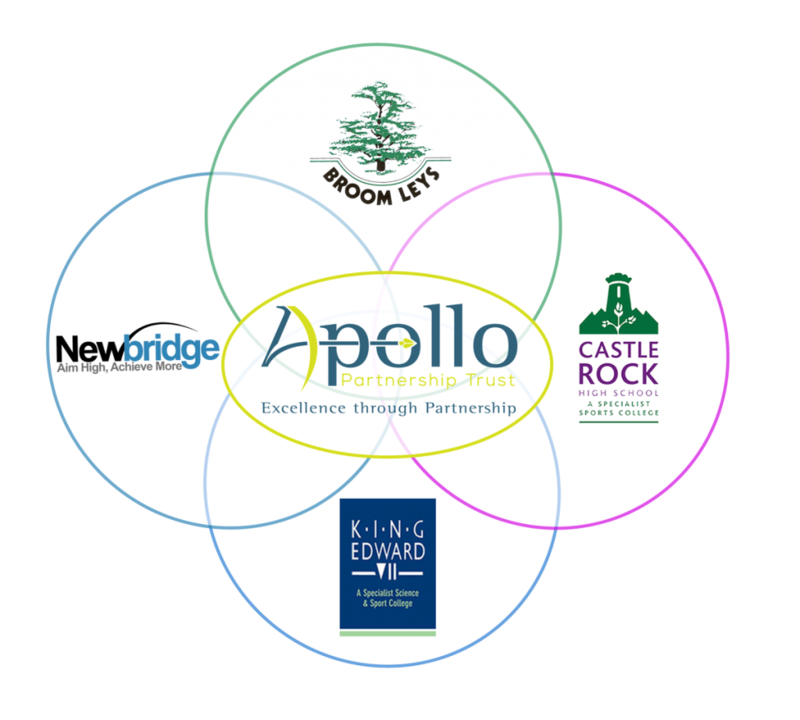 Castle Rock High School and Newbridge High School are both academies controlled by the Apollo Partnership Trust and which operate independently of the Local Authority. Each provides education for pupils aged 11-14 years. The Trust also includes Broom Leys Primary School. King Edward VII (Sports and Science) College provides education for 14-18 year olds and is presently managed by its own Trust but plans to join with Apollo shortly. All of these schools are judged as ‘Good’ by Ofsted. The schools provide high quality education through Key Stage 1 & 2 (primary age), Key Stage 3 (Years 7 to 9) and Key Stages 4 and 5 (Years 10 to 13). The secondary schools currently have a yearly student admission number of 200 for Castle Rock, 180 for Newbridge and 413 for King Edward VII. Who are we consulting with? Parents of potential students who live in our catchment area and those that live further afield. Staff who work at each of our schools. Students who currently attend our schools (via the respective student councils). Representatives of the Local Authority (Leicestershire). Other local schools that may be affected by our proposals. The consultation will begin on Monday 3rd December 2018 and will close on Monday 14th January 2019. Improved choice and access to secondary education in the area. For our students, improved stability and progression, avoiding the need to transfer school when they move from Year 9 to Year 10. Two “through schools” under one employer ‘Apollo’ positioned at the heart of their communities with increased capacity to respond to local needs. Increased opportunity to start GCSE courses when it is right for the individual rather than a set point. A closer match of Key Stage 3 experience to the requirements of examination courses in order to improve outcomes. Greater capacity for personalised support for each student ensuring all achieve their potential. Provide ‘economies of scale’ financially to target resources more readily on the needs of students. Improved standards and student outcomes across all the key stages of learning. What would happen to the admission arrangements for Castle Rock, Newbridge and King Edward VII? In order for the age range change to be a success we are proposing to make some adjustments to our admission arrangements. First, we propose that all three secondary schools should share a single catchment area. The current King Edward VII catchment area will continue encompassing all of the current feeder schools to Castle Rock and Newbridge. It will also include schools that share a catchment with King Edward VII and others. This will provide better choice and access to our schools. Whilst it is difficult to determine demand for places in September 2020, we believe that by providing the choice of an excellent, local “all through school”, students will gain a place at this first choice school. In relation to primary transfer all children wishing to gain a place at either Castle Rock or Newbridge would be accommodated. Second, we would like to make some adjustment to the admission numbers for Year 7 entry, for Castle Rock/King Edward VII new school this will be 250 and for Newbridge 150. This will help to better manage student numbers through the first two years of transition. In time we plan to grow the admission number at Newbridge to help deal with the demand for places arising from new housing, particularly to the south east of Coalville. How would school admissions be managed? Currently our admissions arrangements are managed by the Local Authority (Leicestershire). 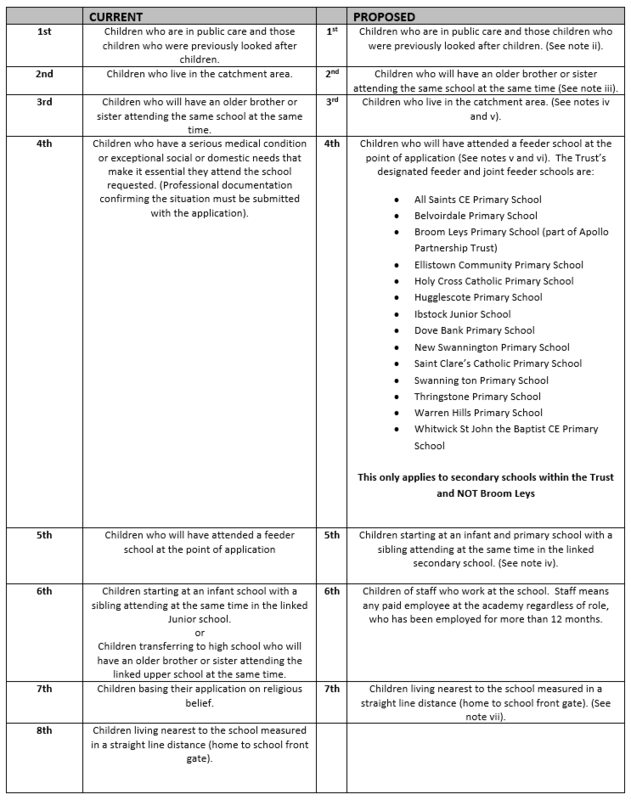 Places will be allocated based on the circumstances of the child, taking into account various factors, such as catchment area, whether their siblings are also at the school and Special Educational Needs. The proposal is to continue to work closely with the Local Authority and use these same priorities and arrangements when allocating places. What would this mean for my child? At the two schools all new intake students would be inducted into either Castle Rock/King Edward VII or Newbridge. If the proposals proceed after the consultation and your child is currently in year 9, then they will transfer, as is current practice, to King Edward VII College in September 2019. Some of their lessons will be taught on the current Castle Rock site as we slowly bring the two schools together. Current Years 7 and 8 pupils. If the proposals proceed after this consultation and your child is currently in Years 7 or 8, then in September 2020 they would continue their education at their current school i.e. there would be no need to apply for a place in Year 10 as the transfer stage would have been removed. 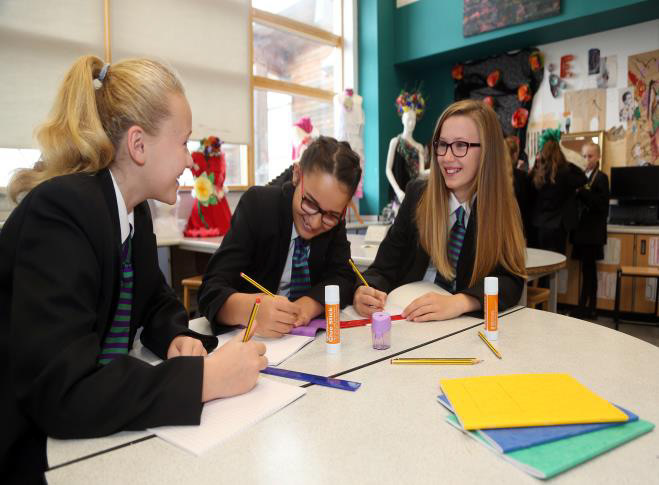 Students currently in Year 6 who would be moving into Year 7 in September 2019 will receive notification of the outcome of their application for a place in March 2019. All places will be allocated under the current admission arrangements. Applications to high schools have already taken place where your child will continue through to years 10 and 11. Students who are currently in Year 5 at primary schools will be the first to take up a place at the new all through schools. Parents will be invited to apply for a place in the admissions round in September 2019. Places will be allocated based on the revised admission arrangements proposed as part of this consultation. Pupils currently in Year 4 or below. Students currently in Year 4 or below will be able to apply to the new schools under the new admission arrangements for entry in September 2021 onwards. Parents will continue to have the right to apply for their child to change schools at any time, this is referred to as a mid-term application, and places will be allocated if available. What will happen Post – 16? Our vision is to further develop the already very high success rate and make the joint Sixth Form provision an Academic Centre of Excellence. The usual post-16 educational pathway for pupils within our catchment area is King Edward VII College, the college has a very good success rate at getting students into their first choice of higher education or employment. Smooth and effective transition arrangements for our pupils when moving into their Sixth Form will continue to be a key priority for us. All three schools currently have excellent teaching and associate staff. It is essential to retain and share their knowledge, skills and expertise for these changes to be a success. Joint continuous professional development is already being undertaken across all of the schools with regular opportunities planned throughout the year to ensure collaboration and skill sharing for staff to maintain and improve the learning experience for children as well as widen opportunity for staff. Within the schools our teachers are well qualified and experienced to teach across the key stages, with many having recent experience and success in teaching GCSE courses. Staff have been working together towards the same focus of a broad and balanced, knowledge rich curriculum throughout all key stages leading to successful outcomes. 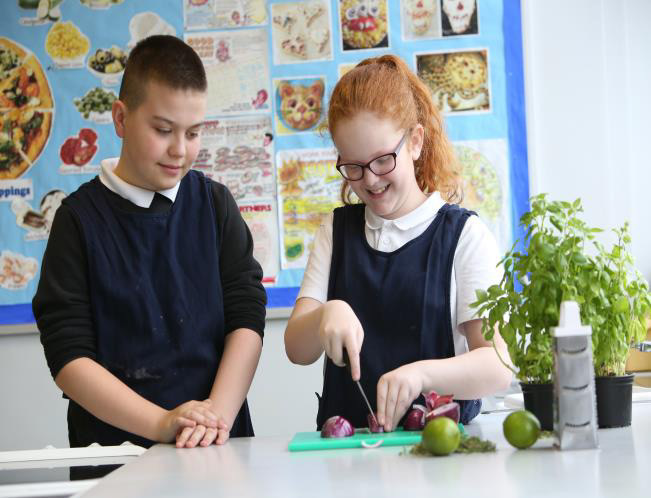 We have also been able to use the expertise of our primary colleagues within the Apollo Partnership Trust to ensure the primary and secondary curricular dovetail into one another. In proposing a change to our schools we want to ensure that they also offer the very best teaching and learning facilities and a safe environment for our students. To achieve this will require significant capital investment, we have already begun an ambitious longer term plan to secure this funding and will tell you more about our plans as the proposals progress. Please let us know your views on the above proposal. Alternatively there will be a post box available in the King Edward VII, Newbridge, Castle Rock and Broom Leys reception areas should you wish to hand deliver your response. Please ensure that your response is received by Monday 14th January 2019 at the latest. Monday 10th December at Newbridge High School commencing at 6.00pm. Thursday 13th December at Castle Rock High School commencing at 7.00pm. The meeting will comprise of a short presentation followed by a question and answer session lasting for approximately an hour. At the meeting there will be representatives from the school Senior Leadership teams and Governors/Trustees. If, after the consultation, and dependent on what you have told us, the Governors/Trustees agree to proceed with the change, the next step would be to formally seek approval from the Department for Education. To do this we would need to submit detailed plans to demonstrate that this is a strong case for change, and most importantly that it will lead to improved outcomes for our students. We would like to submit our application by the beginning of March. We will of course continue to keep you informed throughout this process as it is progresses. If these changes are approved they would commence in September 2020. In practice, over the coming years, the schools would gradually move towards two 11-16 schools with a shared Sixth Form; to enable a holistic approach to the proposed changes by working together, in partnership, to be better than yesterday. Apollo Partnership Trust is seeking your views on the proposed changes to the admission arrangements. Our consultation will run for 6 weeks from 3 December 2018 to 14 January 2019. These changes are subject to Age Range Change and relates to Admissions for entry in the September 2020 Intake. The determined admissions arrangements must be published on our website by 1st March 2019. We are required to consult about our arrangements at least every 7 years. We believe this policy meets the needs of our community. Information regarding our admission consultation, including the catchment map, have been published below. Pupil Admission Number (PAN) is deemed to be the maximum number of children to be admitted in each year group of a school. This policy will operate from September 2020. It will also apply to all mid-term admissions for the school year 2020-2021 and for subsequent years until further notice. To adjust elements of the over subscription criteria in the policy. These are set out below along with the proposed changes. 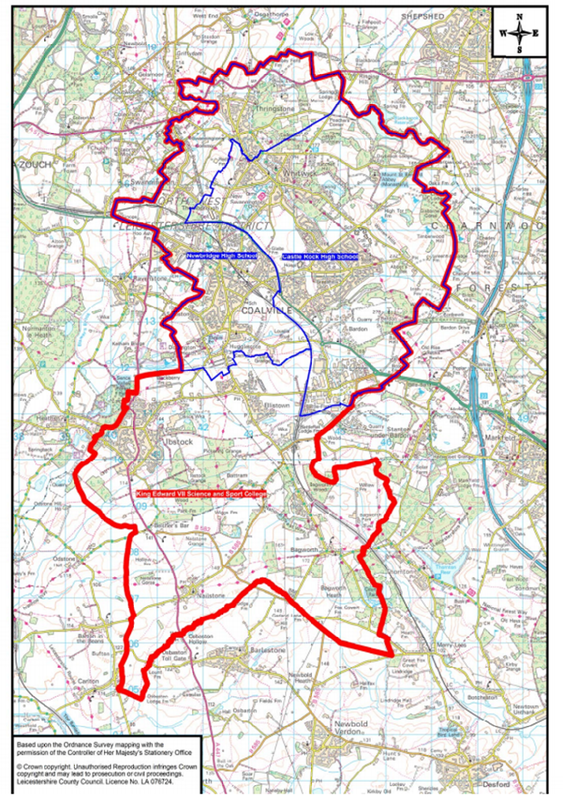 Apollo Partnership Trust propose, to change their catchment from the current catchment area to the proposed new single catchment area for all schools. Priority criteria for entry September 2020 admissions and mid-term applications during 2020 / 2021 academic year. Combinations of the above criteria are used in priority order. Where the computerised system throws up an equality of distance for more than one child (who do not have the same home address) the final tie breaker will be by drawing lots. ii. A ‘looked after child’ is a child who is (a) in the care of a local authority, or (b) being provided with accommodation by a local authority in the exercise of their social services functions (see the definition in Section 22(1) of the Children Act 1989) at the time of making an application to a school. Previously looked after children are children who were looked after, but ceased to be so because they were adopted (or became subject to child arrangements order or special guardianship order). iii. The term “brother or sister” includes half brother or sister or legally adopted child being regarded as the brother or sister. Regarding brothers or sisters who will be of sixth form age, these are counted as brother/sister connections for criteria 3 or 5 above. – If more applications than the number of places are received from within the catchment the oversubscription criteria will be applied for each school in accordance with the admissions policy. For criterion 4 above, the child must have been enrolled at the feeder school at the point the application is submitted. vii. For Criterion 7 above, measurement of distance is in a straight line from the centre point of the property to the school’s main designated front gate, using a computerised mapping system (Geocoding). Where there is equal distance then lots will be drawn supervised by an independent officer. Any applications received after the closing date will be accepted but considered only after those received by the closing date. You are therefore encouraged to ensure that your application is submitted on time. All supplementary information i.e. medical consultant letters to proof of change of address, should be supplied with your application. Apollo Partnership Trust engage the services of the LA to rank our admissions according to the criteria above, (once ratified by the local governing body). If Apollo Partnership Trust has more applications than places available, the LA will draw up a ranked list based on the criteria listed above and inform the Local Governing Body accordingly. Children who have a Statement of Special Educational Needs that name any Apollo Partnership Trust Academy will be admitted even if the school is full. Parents whose children have been refused a place at an Apollo Partnership Trust Academy will automatically be added to the Apollo Partnership Trust Academy’s OSL (waiting) list. The OSL for admission will remain open until the end of the Autumn Term in the admission year. The OSL is ranked using the oversubscription criteria listed above. The OSL may change, this means that a child’s OSL position during the year could go ‘up’ or ‘down’. The OSL makes no distinction between on time or late applications. The LA will arrange the appeal on behalf of the Local Governing Body of the academy you are applying for, the appeal will be heard by an independent panel, whose decision is binding on all parties. If an Apollo Partnership academy has a space, the LA will offer the place, if there are more applications than places the LA will rank the applications and inform the Local Governing Body, and parents of the outcome. Apollo Partnership Trust will participate in full with the LA’s Fair Access Protocol in order to make sure that the most vulnerable children are offered a place at a suitable school as quickly as possible. This includes admitting children above the published admission number of a school that is already full. Objections to any aspect of the determined admissions arrangements may be made to the Office of the Schools Adjudicator, but must be made before 30th June.